How to achieve series drilldown behaviour in SfChart ? 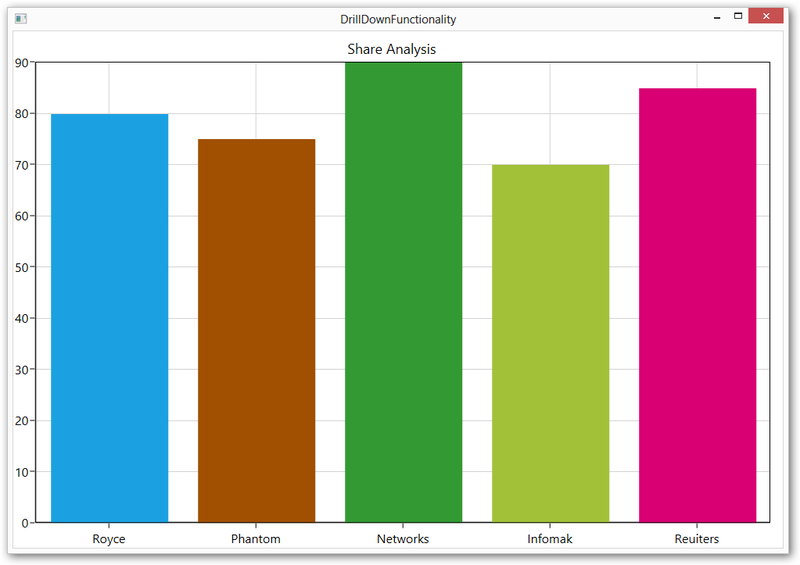 Drill-down functionality in chart is used to navigate from one chart to another. 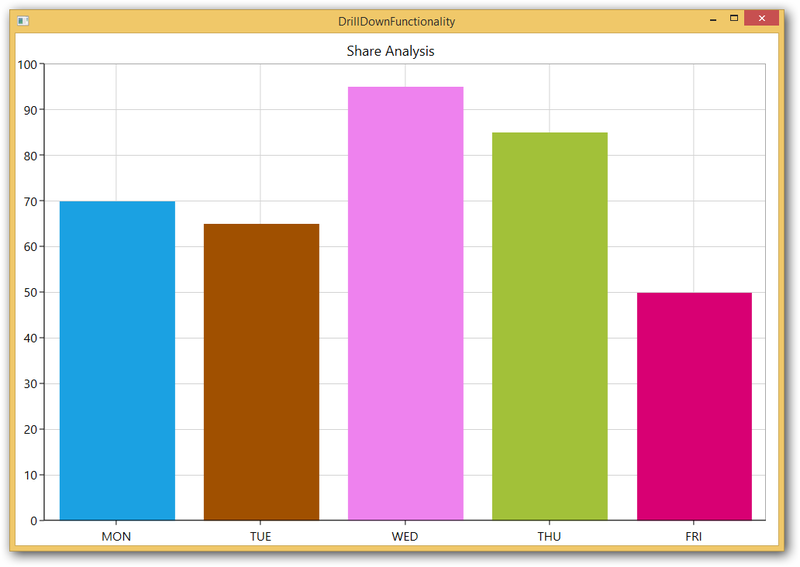 For example, in share analysis concept, initially all share names are displayed when you select a particular share to know more details about the share; it again generates a new chart that provides the further detailed information. This behavior is achieved in SfChart using the following code examples.